One of the few problems with coupons is that they can lead to overspending. Most of us will clip a superfluous coupon rather than pass it by, if only because of our primal urge to stockpile. Plus it's just too hard to pass up $5 off an anything. No matter whether we need it, or have ever purchased the product in the past. We MIGHT use it, we rationalize. Better safe than sorry. Cleaning out an overstuffed coupon drawer filled with expired coupons is when the sorrow usually kicks in. Thankfully this is a simple problem to fix. No matter what you are clipping coupons for, just say no to ones that don't fit your needs. If you don't normally buy a product or can't substitute a discounted product for something you regularly use, don't waste your time cutting it out. By not clipping it you'll remove the in-aisle temptation to splurge. Just because the problem is simple to fix doesn't mean it's easy! When I was looking through a local coupon mailer it took a lot of self control to leave the BOGO appetizer and $5 off $25 purchase coupons for Buffalo Wild Wings unclipped as I snipped a 20% off takeout orders coupon from in between. If I had clipped these two coupons I can say with certainty that my next visit would have resulted in unnecessary spending on appetizers or an obscene amount of boneless wings to reach $25 just so I could "save" $5. 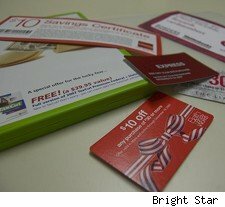 Refining your coupon habits may take some effort, but it's an effort well spent, as one commenter on WalletPop's recent post about digital coupons pointed out, "a real coupon shopper will tell you that there is a method to their madness (and the end results save them time as well as money)." Remember, you're only saving money if it's something you would have purchased anyway!